Wellcome to our website .!! We should tell you a couple of things about our location, that you should know before you come and visit us. Platamonas is an area next to the sea at the SouthEast of Pieria, only 40 Km from Katerini,50 Km from Larisa and 100 Km from Thessaloniki. 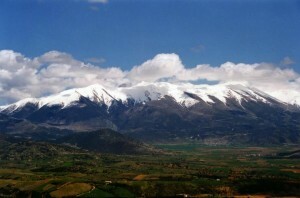 Platamonas has about 2000 permanent people and its one of the most well known tourist locations in Pieria. A really big number of tourists from all over the world are visiting us every year to enjoy the clear blue sea ,the wonderfull sandy beach and the forest that ends at St. Panteleimonas beach. 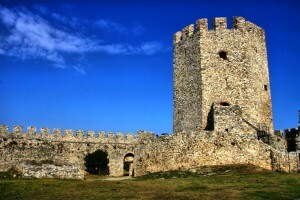 One of the sights of Platamonas is the castle , that was built at 1204 to guard the passage to South greece.The castle till today is in a very good condition, built in a rock full of trees and during the summer is being used in many tourist occassions. From the castle you can enjoy the Sunrise and the sun coming out red, behind mountain Athos. You should also visit the locations <Pigi tis Artemidos > , <Pigi ton Mouson >, only 20 Km away, you find Dion one of the most important arcaeological sights in Greece. Platamonas is a holiday destination for every age, and also an affordable destination. There are sandy beaches of many Kilometers, and many of them are suitable for fishing. In the area there are many restaurants that specialize in fish that are ready to satisfy every customer,the service and quality of food is something we are proud of.You must try the taste of our local fish ! Nightlifie in Platamonas is wild with lots of bars by the sea and many clubs for dancing. Dont forget to also visit the old village of St. Panteleimonas with its great view and architecture,and the Old Poroi village, both built where the mountain Olympus begins, they are suitable for romantic walks surrounded by nature and good food!. Platamonas is a destination for your summer holidays and why not your winter holidays too. !!!! Thank you and we’re waiting for you !!!! !